It’s possible to do almost anything with a click of a mouse or a tap on a screen these days. Goods can be bought and delivered within hours, new products can be easily browsed and online advertising seems to magically target its ideal audience, connecting customers with items matching their needs and wants. This easy and instant access to goods and information is changing consumer expectations and influencing how businesses and institutions operate. There are ways public libraries can prepare to not only survive these changes, but thrive with them. One solution involves big data. The Oxford English Dictionary defines big data as: … data of a very large size, typically to the extent that its manipulation and management present significant logistical challenges. Big data in a library setting may include a dataset of five terabytes or larger. Think of it this way: Five terabytes could hold one million music tracks or 85,000 hours of music, according to Public Libraries Online. Big data can provide libraries the ability to better understand their patrons and communicate with them more effectively. Data gathered from surveys, for example, can be analyzed to create in-depth patron profiles based on demographics and psychographics of a community. Reliable profiles will let libraries respond to changing tastes and plan events and services truly desired by the local community. Do your patrons prefer to be contacted on social media, and if so, on which platform? Do they follow Facebook or are they devoted to Twitter or Snapchat? Big data can shed light into the answers. Another important way big data can safeguard a library’s future is by helping staff more effectively match material supply with demand. 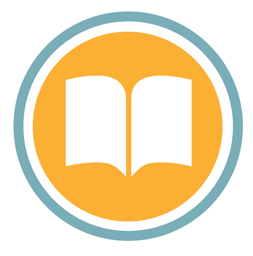 Sophisticated data-based collection tools such as collectionHQ help librarians understand what their patrons are reading, what patrons in neighboring areas are reading, and how other libraries are performing. Librarians can use this information to better meet local demand and introduce patrons to new titles. collectionHQ also lets libraries see how physical books are performing compared to ebooks, helping inform decisions about which technology they should employ. Evidence-based Selection Planning, or ESP, is another example of a powerful, predictive tool that combines the hard evidence of big data with the intuition of human knowledge to guide decisions. Libraries can use this machine-learning tool to make predictions about how pre-published titles are likely to perform, leading to better decisions about what quantity to buy and where to locate titles. If you are interested in learning more about how big data can work for you, visit www.collectionhq.com/esp.